Frank Yturria, a renowned conservationist and South Texas rancher whose biography includes sharing a rodeo circuit with Gene Autry and Roy Rogers in the 1940s, to single-handedly aiding the ocelot population’s preservation, died at the age of 95 on Monday, state Sen. Eddie Lucio Jr. confirmed. 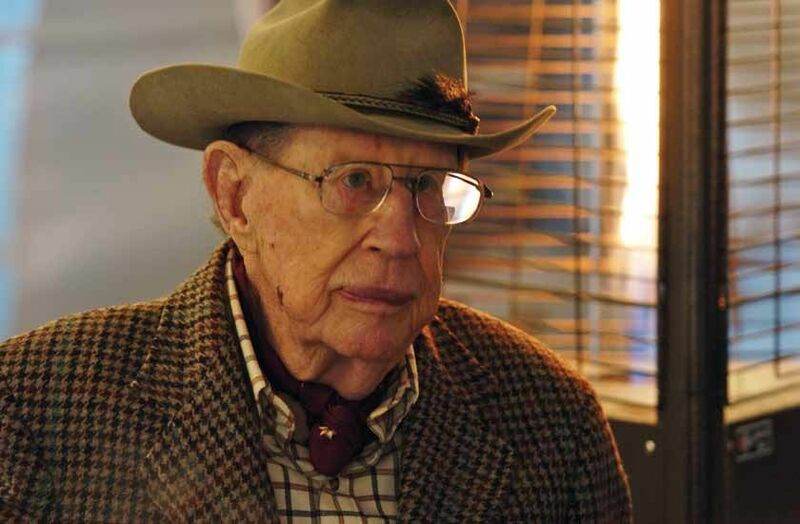 A 1941 graduate of Brownsville High School, now Homer Hanna High, Yturria’s legacy is broad, having been awarded the 2017 International Award of Excellence in Conservation by the Botanical Research Institute of Texas for providing 10,000 acres of habitat on his family’s Willacy County ranch for the protection of endangered species in the Rio Grande Valley — specifically the ocelot, aplomado falcon and other wildlife native to the area. His and the U.S. Fish and Wildlife Service’s efforts have been credited with the ocelots now thriving at the Yturria family ranch, which also stretches across Kenedy County, and where numbers have grown to as many as 100. But Yturria, who leaves behind his wife Mary and family, is known for much more — a World War II and Korean War veteran, land developer and banker, and a philanthropist who helped establish the Boys & Girls Club in Brownsville. Yturria has also enjoyed the support of several U.S. presidents, having been appointed to the South Pacific Commission by Ronald Reagan and the Inter-American Foundation by George H.W. Bush, and who was reappointed by presidents Bill Clinton and George W. Bush. In the early 1940s, Yturria joined the Gene Autry Flying “A” Rodeo on a 12-week contract to perform show riding and roping. The co-namesake of the Frank & Mary Yturria Elementary School in Brownsville was 17 years old at the time, and later went on to serve in the war before graduating with a degree in veterinary medicine from Texas A&M in 1947.